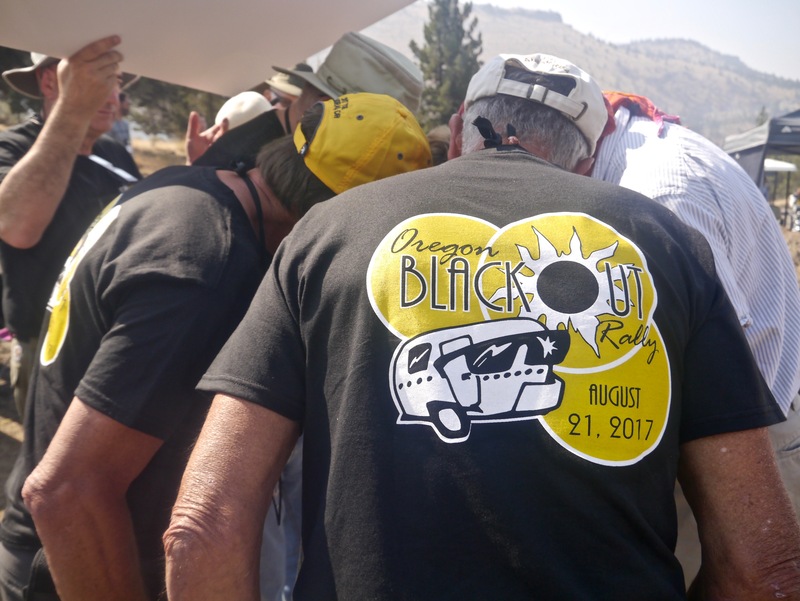 300-plus Airstream trailer enthusiasts—many members of the Oregon Airstream Club, Greater Los Angeles and NorCal units of the Wally Byam Airstream Club—camped together at Lake Simtustus in Madras, Oregon to await the Great American Eclipse. 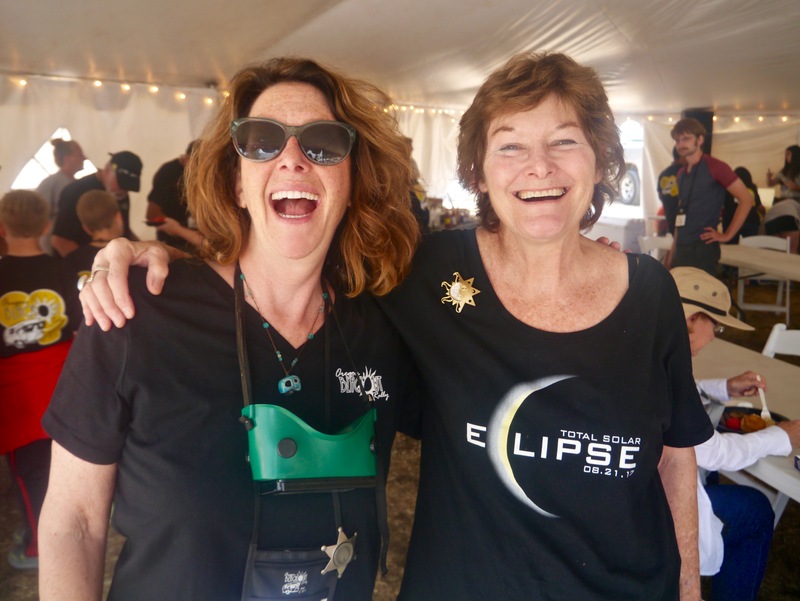 To kill time before totality, a 3-day party was planned that included an eclipse presentation and evening telescope starparties with astronomer Brian Bellis from California, a drawing class, a geology lecture, catered meals each day, Cachaça spirit tasting at happy hour, live entertainment (Antsy McClain from Nashville! 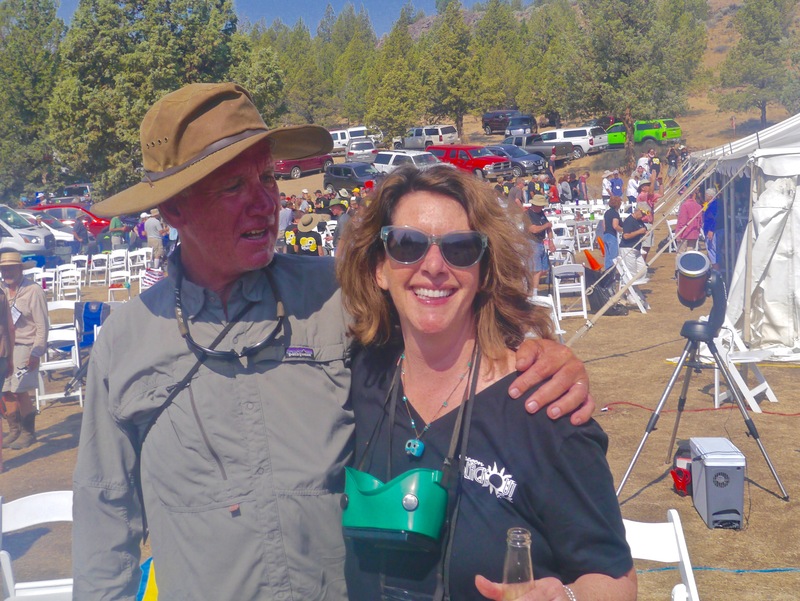 ), and a “Day on the Dock” party hosted by Airstream Adventures Northwest (Airstream Inc.’s #1 dealer). 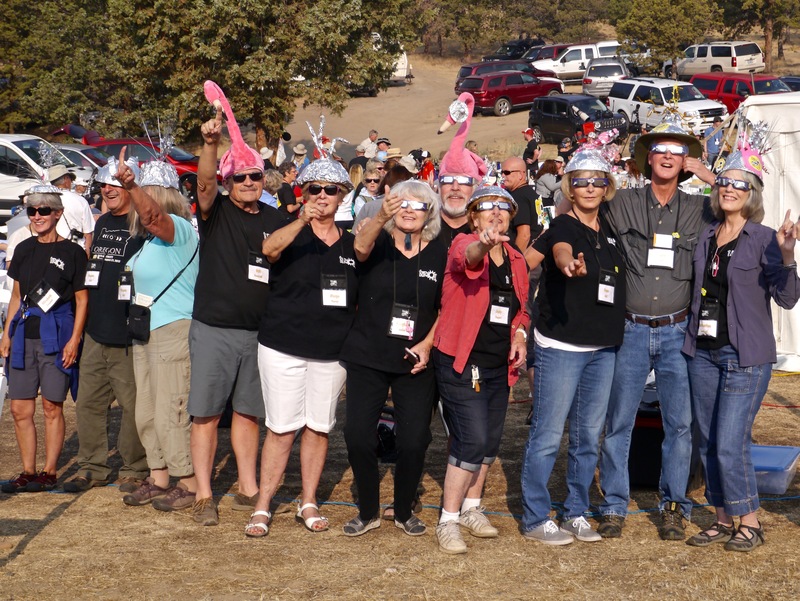 On Monday August 21 all eyes were on the sky as we gathered together to await totality, wearing our custom eclipse glasses. 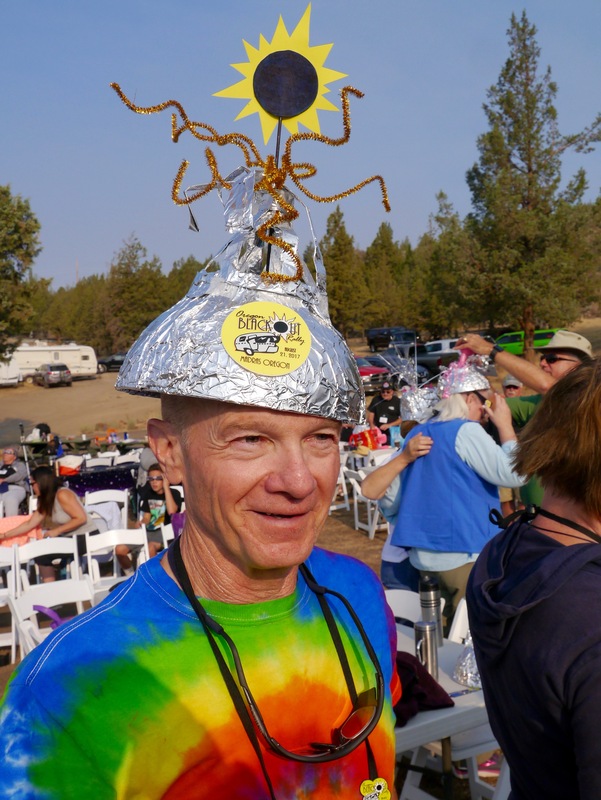 Several rocked tin-foil hats. 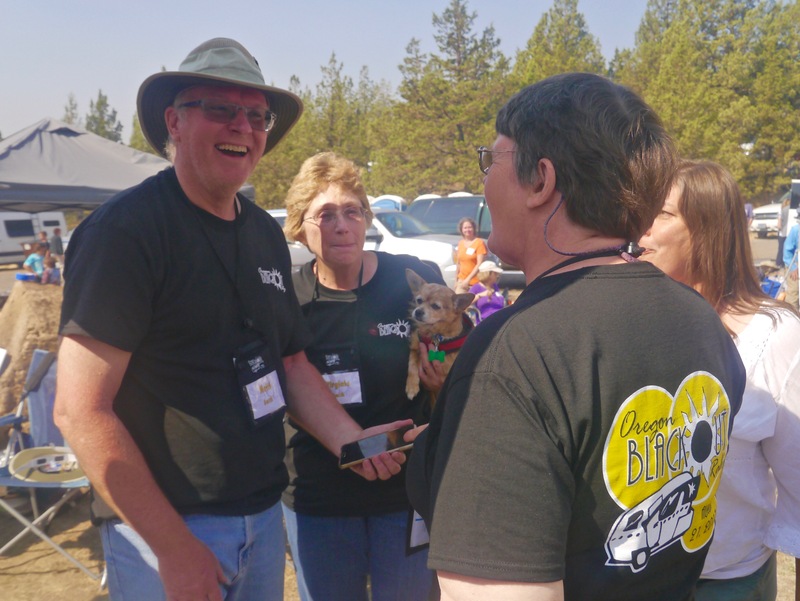 At dawn on eclipse day I glared at the thin haze in the sky, and the brownish accumulation wafting from a wildfire on Warm Springs reservation toward our viewing location. 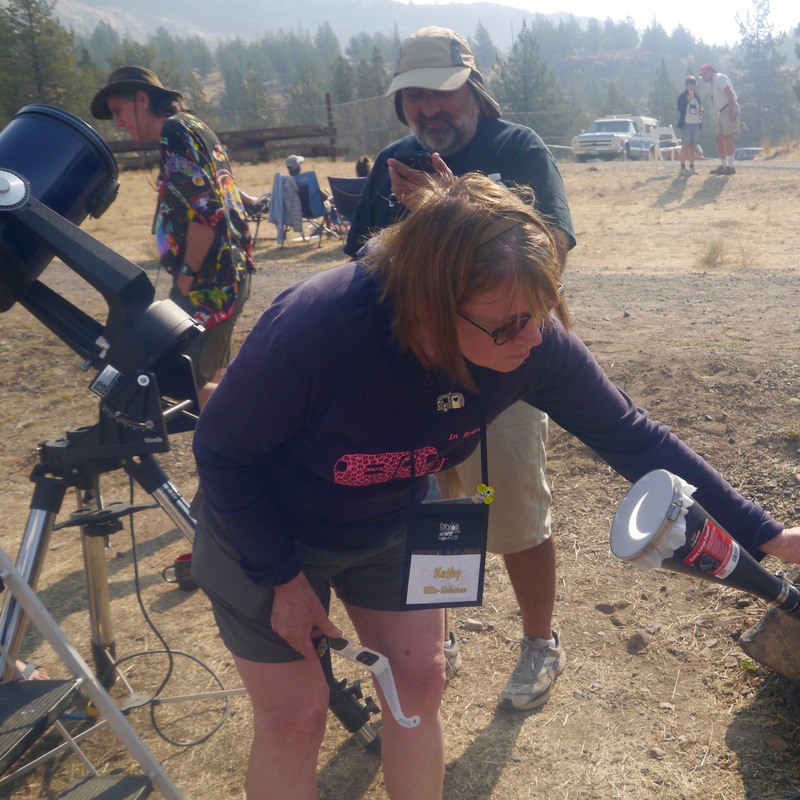 “I’m not a fan,” said astronomer Bellis, and the eclipse chasers and telescope buffs agreed that the advertised crystal blue sky of Central Oregon was not to be that day—but visibility was improving with each passing hour and everyone remained hopeful and excited. 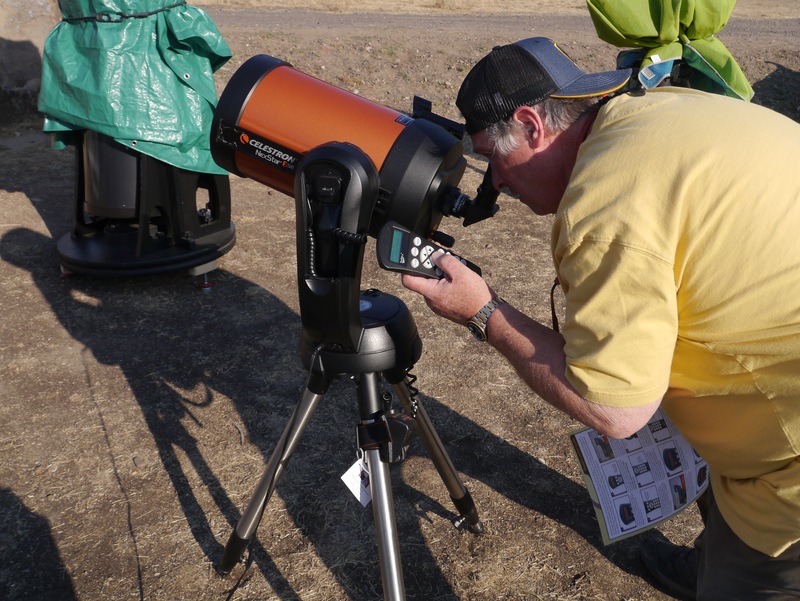 Several telescopes were positioned to study the significant sun spot activity and the big prominences. 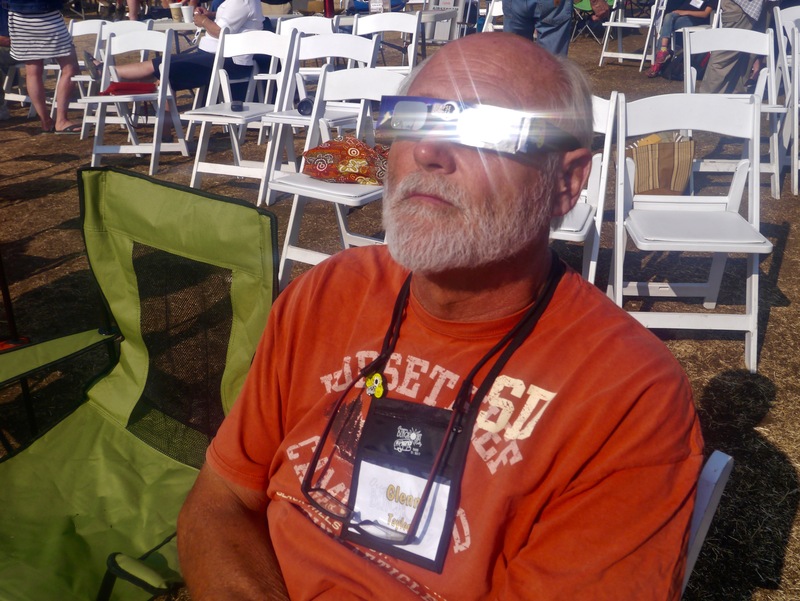 Bellis brought a terrific “funnel projector” and an attendee made a nice pinhole headbox. 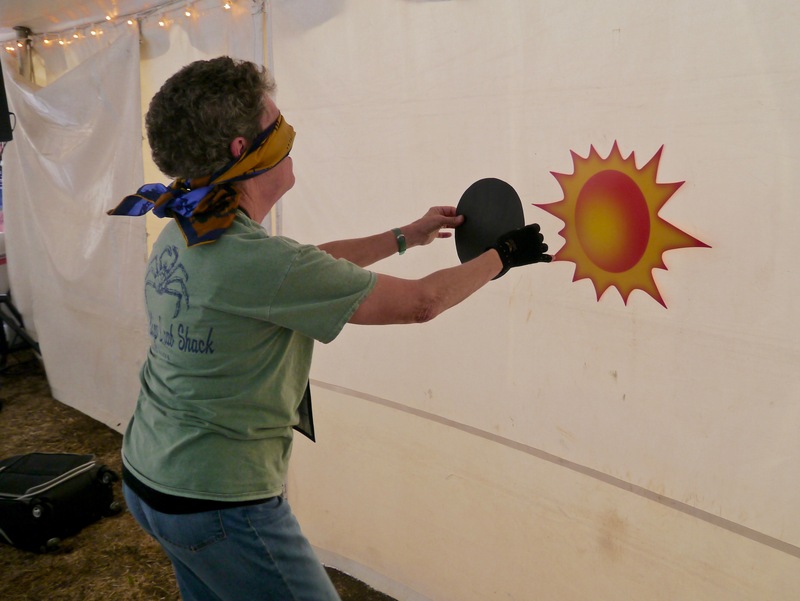 Lots of folks brought colanders from their Airstream galleys to observe rows of neat and orderly crescent projections. After planning this event for seven years, it was finally going down. 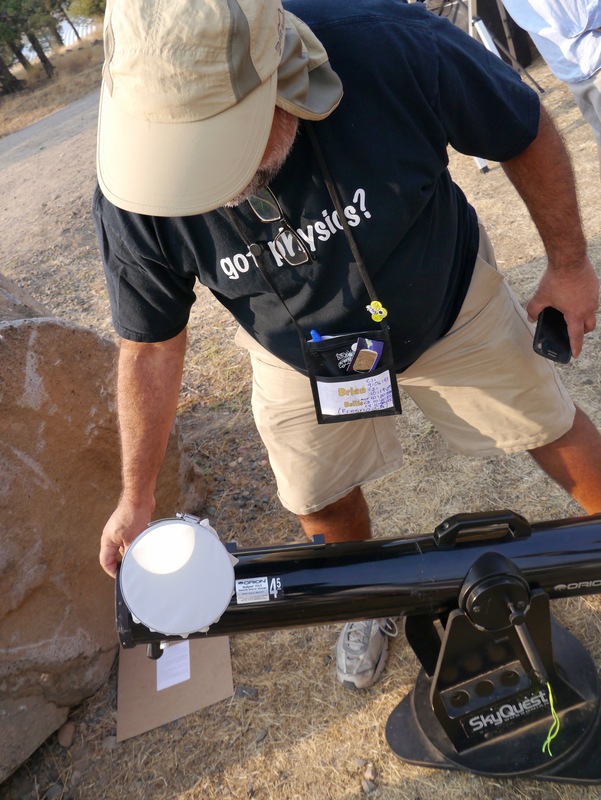 The phenomena occurred on cue as 10:19 a.m. approached: sharpened shadows, eerie changes in the light, and even shadowbands—my first viewing ever, collected on a big piece of white foam core. 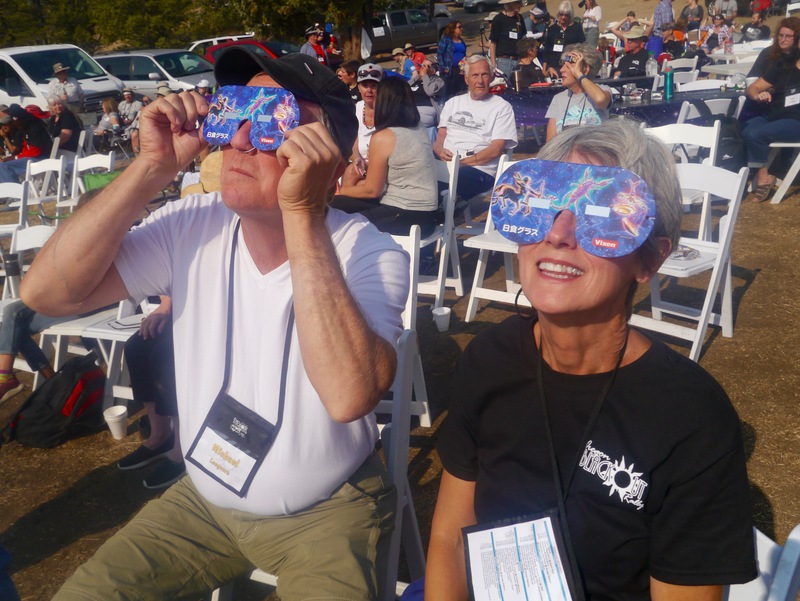 Something amazing WAS captured on video and in a still shot by one of the guests: during totality, a skydiver sailed right across the eclipsed sun. 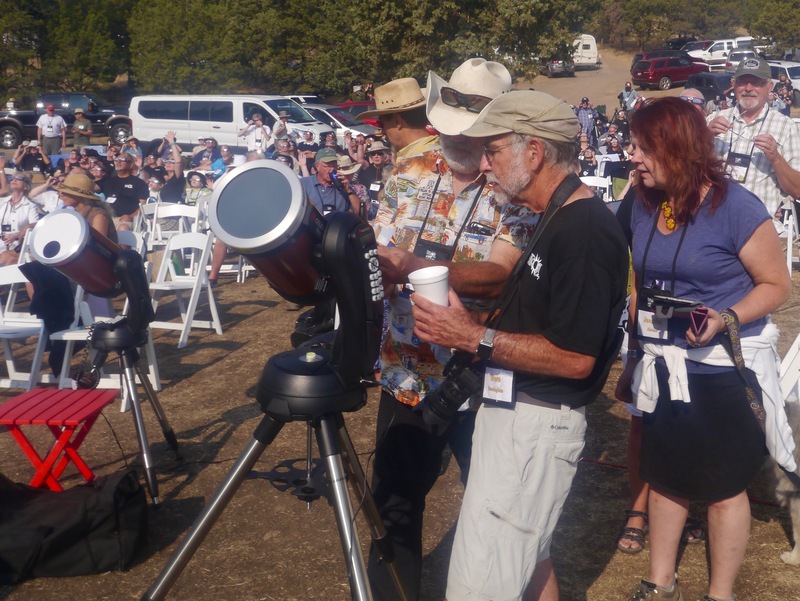 I hope that guy makes some good money selling the image to Astronomy magazine. 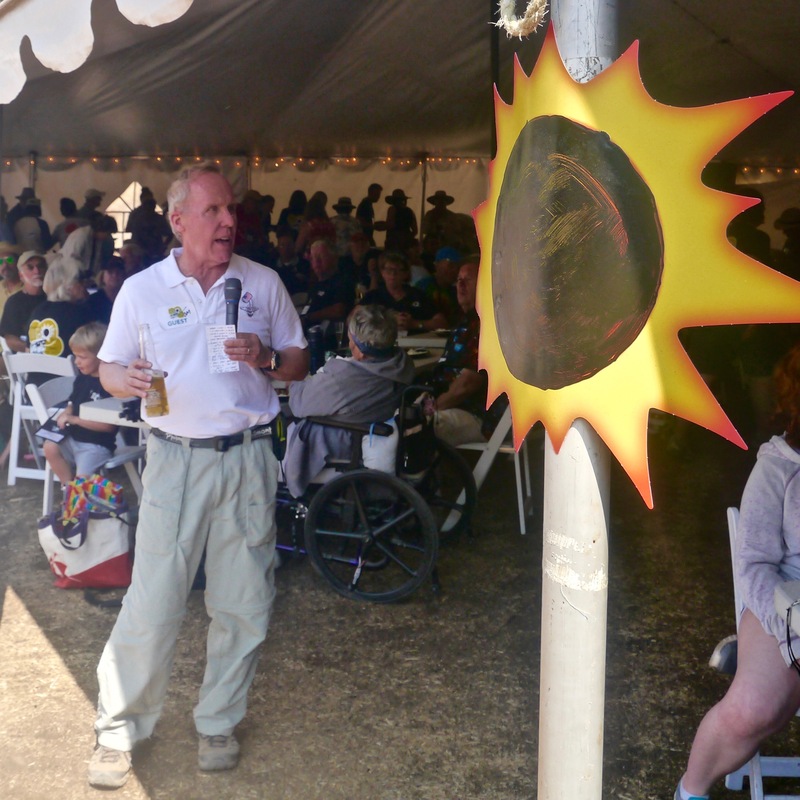 After totality we enjoyed a catered brunch and a champagne toast delivered by special guest Thomas D. Jones, NASA astronaut/spacewalker. 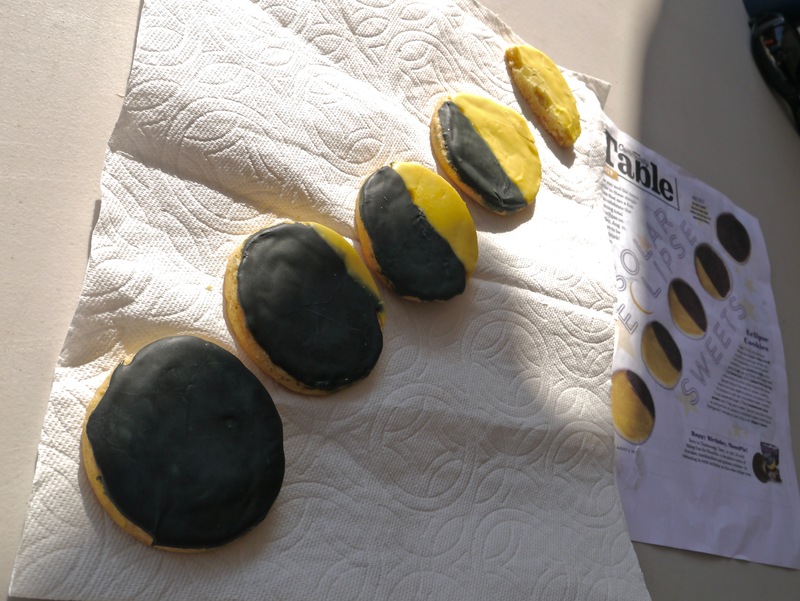 He delivered a fascinating presentation about the ongoing role of NASA missions, answered questions about what it’s like to live and work in space, and stuck around to autograph books and inspire kids. Until next time, clear skies! 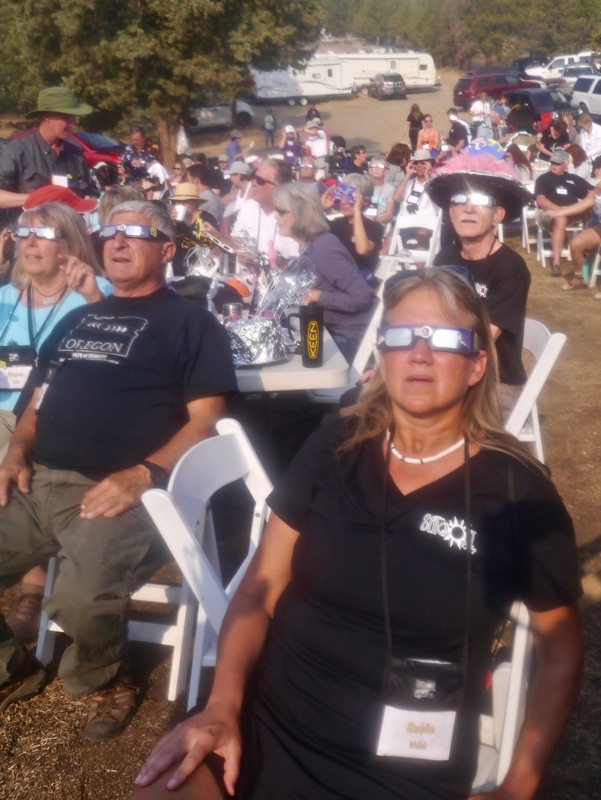 This entry was posted in Great American Eclipse and tagged Celestron, Central Oregon, corona, eclipse2017, Great American Eclipse, Lake Simtustus, Madras, Oregon, Oregon eclipse, solar eclipse, sun, total eclipse, total solar eclipse, totality, TSE2017. Bookmark the permalink.